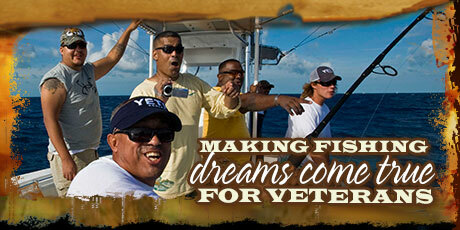 Our third annual Fish for Jose weekend was a huge success. The Kick-Off Party was hosted by the Square Grouper’s My New Joint. As always, the food was absolutely delicious. Whenever you find yourself in the Florida Keys, My New Joint should be on your list as food destination! Saturday morning, we held our second annual clean-up along the Foundation’s section of the Adopt-A-Highway program. Originally, the Foundation’s clean-ups were focused on Hurricane Irma debris (we’ve cleared over 300,000 lbs. so far!). 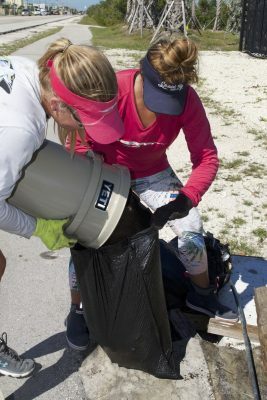 But, the amount of NEW trash along the road and in our mangroves, was disheartening—especially all of the plastic waste. We will continue to do our part and honor Jose’s passion for our little islands and our ocean. A big shout out to Kat Johnson for taking the lead on this. From the beginning she has been part of our All Star Clean-Up Crew. The backyard dinner was something Jose would have been proud of. The main reason for his pride, of course, would be the food! Jose’s passions went in this order: family, fishing, food! A new restaurant, South of the Seven, donated their services and catered the event. They even caught their own mutton snapper, which was Jose’s favorite eating fish, and served it fresh! Paul—the owner of the restaurant—clearly knows what he is doing in the kitchen, and loves sharing his passion with others. I met Paul and his wife Krissy after Hurricane Irma, when they drove down from Tampa Bay as soon as non-residents were let in. Food was scarce and many people had lost their kitchens. They came down every weekend and fed a lot of people during a terrible time. Paul and Krissy fell in love with the Florida Keys and our little community, and made the decision to sell their restaurant on the mainland to start a new chapter in the Keys. The name of their new restaurant “South of the Seven” is inspired by the unique lifestyle of the people who live south of the Seven Mile Bridge. All of their services were donated, and the food was the highlight of the night. Stay tuned for an official opening date for South of the Seven on lower Sugarloaf near Sugarloaf Lodge! Daddy Gatti Seafood also donated stone crab claws and lobster to add to the spread. 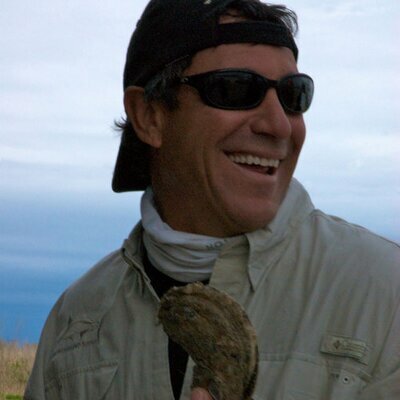 Owner Christian Gatti and his family have lived in the Keys for decades—over 40 years! Christian has been known to say that the impact Jose had on him is immeasurable. 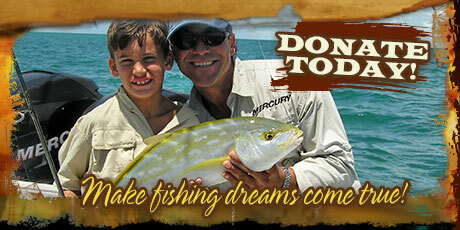 Jose instilled in him not only fishing knowledge, but the importance of the overall well-being of the Florida Keys. The music was provided by Zack Lovering, who sang his heart out. His repertoire ranged from the Grateful Dead to the Red Hot Chili Peppers, and the audience ate it right up along with their seafood! Our very first Foundation family, the Murdochs, were awesome enough to make the trip down to the Florida Keys to share the story of their life changing fishing wish. After their fishing trip with the foundation, the Murdochs decided to move to Florida once their son Tyler, the wish recipient, had graduated from high school. Another highlight of the dinner soiree was the auction with our MC Steve Miller. There was an intense battle, complete with eye-rolling, head-shaking, and jokes, to auction off some of the original Spanish Fly Shimano rods. 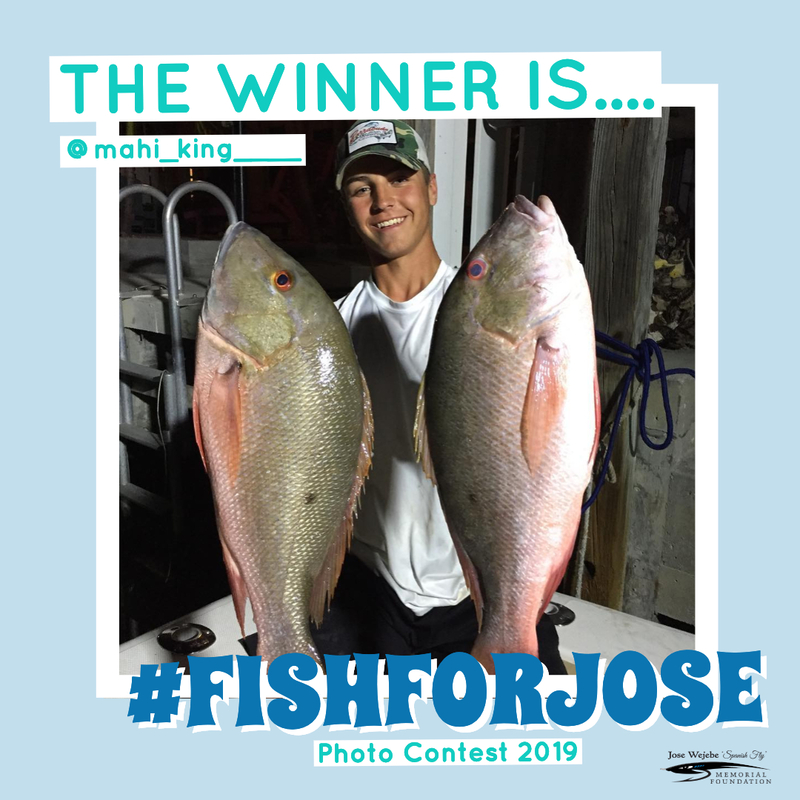 While events were happening in the Florida Keys, we also held our first #FishForJose photo contest online. Thank you to all of the #fishforjose social participants, and we hope the winner likes his pair of “Jose” style Costa sunglasses. 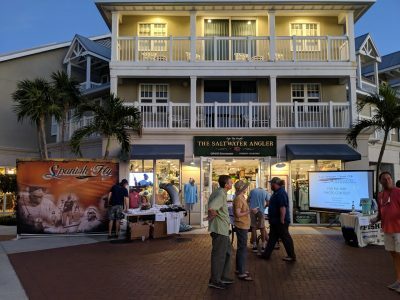 The local photo contest hosted by Salt Water Angler was won by Captain Grif Helwig of Endless Summer charters. The prize… an original Caleb Goins tarpon piece. I want to thank from the bottom of my heart. Jose would have been very humbled by everyone who has been inspired by his show through the years. 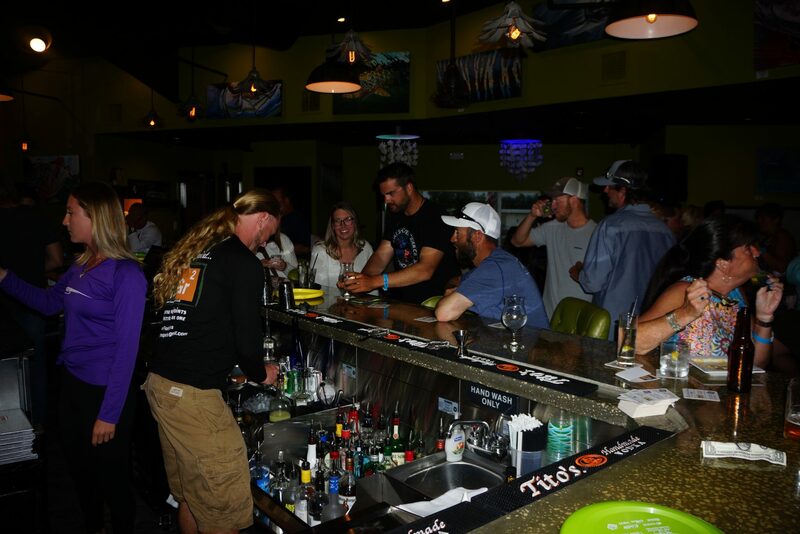 Those who made this event possible through their sponsorship include: Key West Parrot Head Club, No Rules Charters, Lyon Waugh Auto Group, Two Conch Charters, Hot Tuna, Sea Deck, E-Sea-Rider Marine Bean-bags, Yeti, Skinny Water Culture, and Costa Sunglasses. 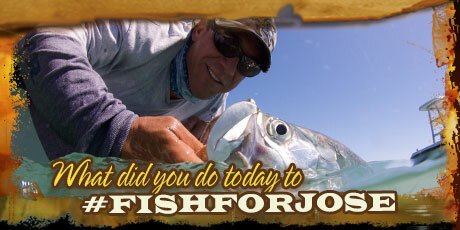 Your generosity keeps the spirit of Jose and the Spanish Fly very much alive. 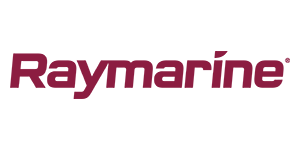 One last big shout out to Ray Torres, brewer of Spanish FLY PA, Bombora Vodka, One with Life Organic Tequila, Pilar Rum, and Summerland Wine and Spirits for their amazing donations, supplying our events with a top-shelf bar selection. Thank you so much again. With your help, the spirit of the Spanish Flycontinues to live in all of us! Previous Entry: Get your tickets for Fish For Jose 2019!